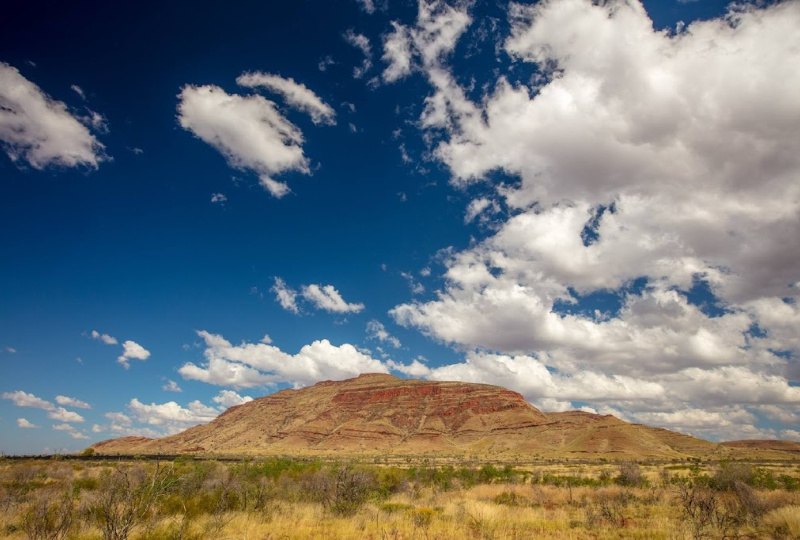 Download the Department of Biodiversity, Conservations and Attractions Information and Walking Trails brochure. It is a loose, steep descent, then an easy ramble to the hidden gardens of Circular Pool in Dales Gorge. Enjoy a swim in the refreshing permanent waters. This is an arduous walk so you must allow at least 2 hours return. (Class 4 – 800 metres, 2 hours return). 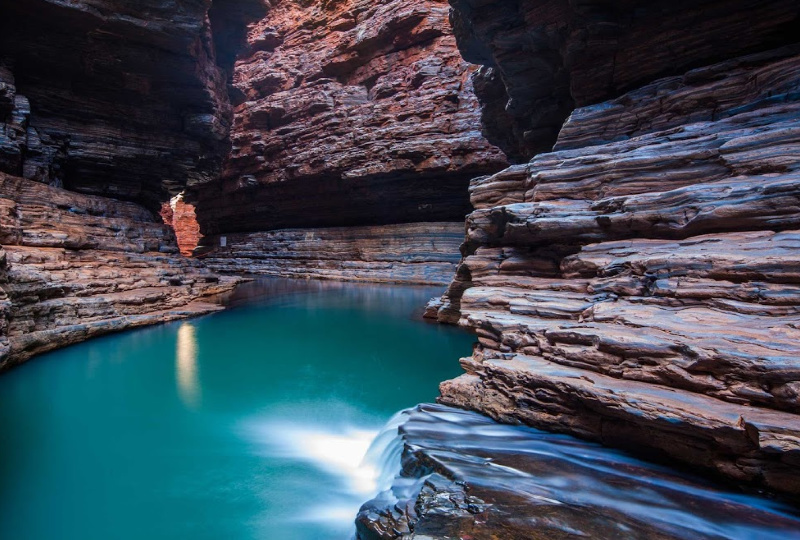 On the east side of the Karijini National Park is Dales Gorge. 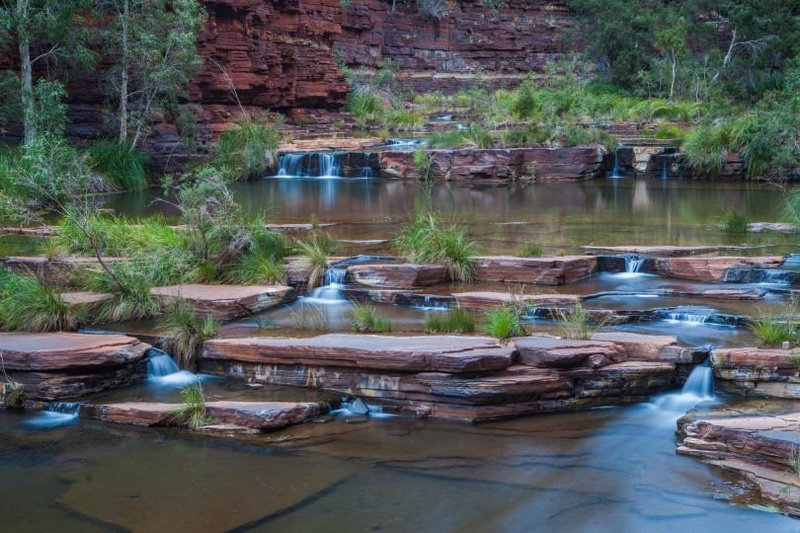 Walk the track and experience wildlife along the creek-side trail between Fortescue Falls and Circular Pool Trail. (Class 4 – 3 kilometres, 3 hours return). 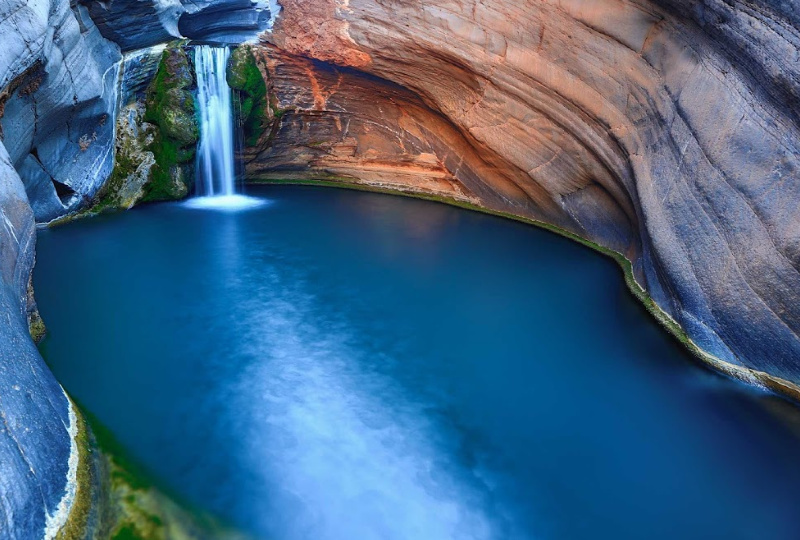 The easiest Dales Gorge trail is the Rim, starting from either Circular Pool or Fortescue Falls car park. (Class 3 – 2 kilometre, 2-hour return). Walk down through the changing vegetation of the iron-rich gorge walls to the park's only permanent waterfall. 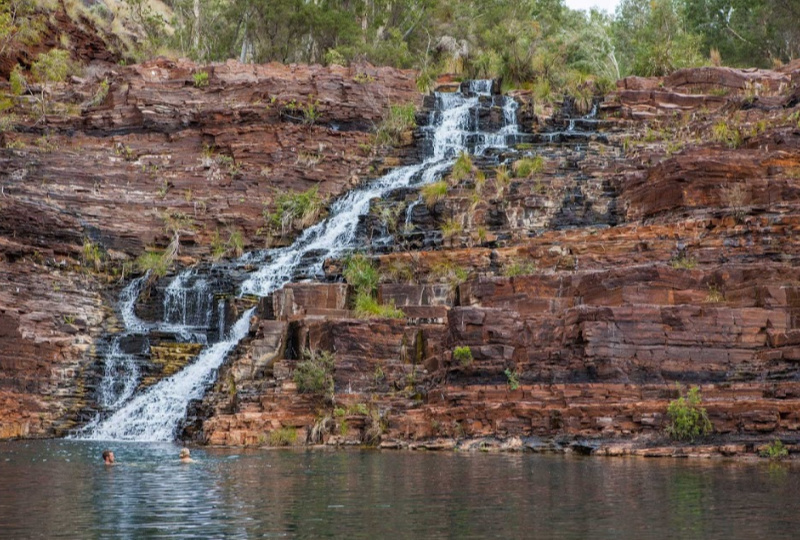 Just a short distance from Fortescue Falls, you can swim in the refreshing, spring-fed Fern Pool. (Class 4 – 800 meters, 1-hour return). Take a journey to the 'centre of the Earth' down this steep and narrow gorge. Climb down the ladder, and proceed through the highly polished rock on the way down to Kermit's Pool. (Class 2-5 (changes along the trail) – 1.5 kilometres, 3 hours return). A short track runs from the car park to the lookout overlooking the falls, which are usually dry, and the plunge pool at their base (100 meters, 10 minutes return). Follow the marked route into the bottom of the bottom of the gorge and see the curved wall which forms a natural amphitheatre with an amazing natural waterfall (Class 4-5 – 3 kilometres, 3 hours return). 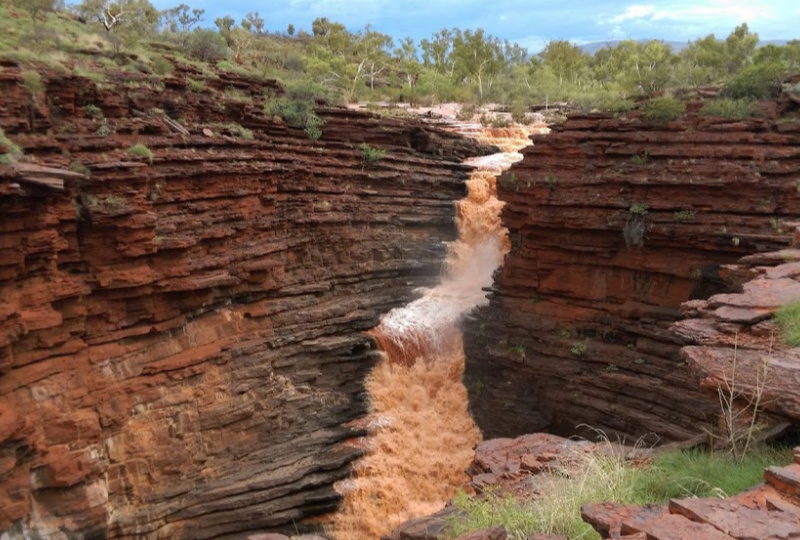 It is the easiest to access and the shallowest of Karijini's gorges. There is a 30-minute return walk into the gorge's lush, shaded pool. 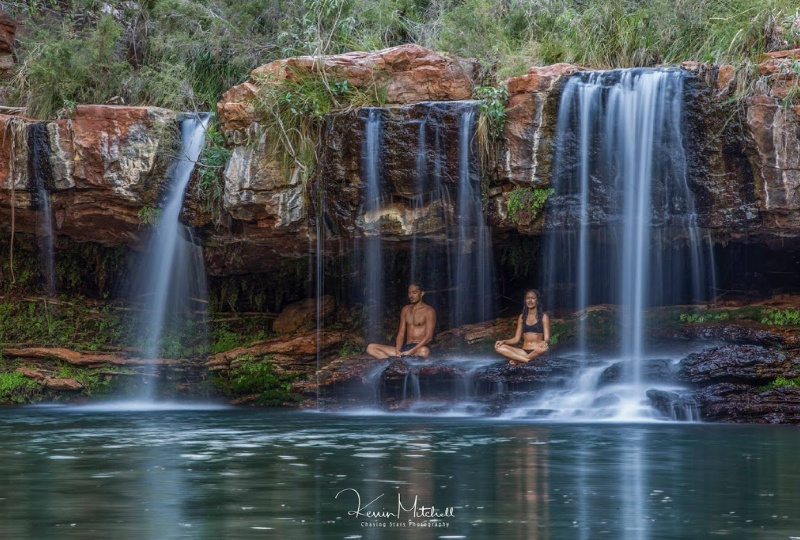 Or walk within the gorge along a stream and small ponds and view the amazing rock structures and Rock Arch Pool (Class 4 – 3 kilometres, 3 hours return). 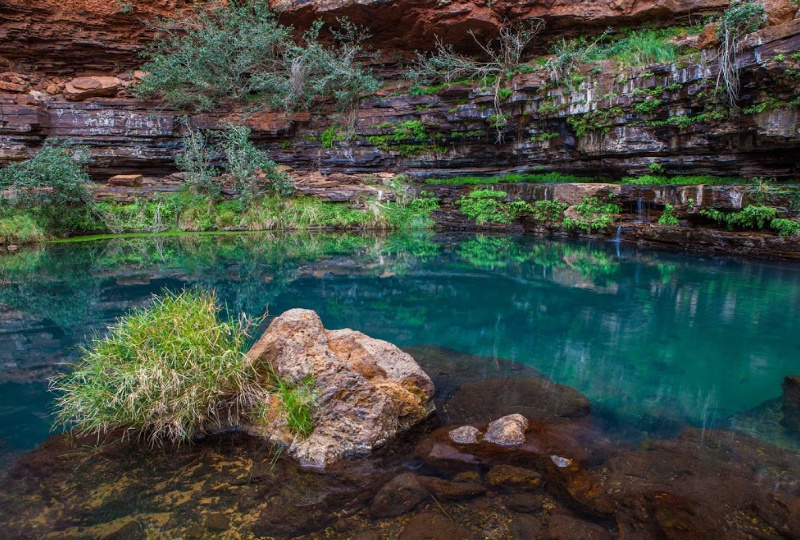 A walking trail takes you down the steep descent into Weano Gorge to the emerald waters of Handrail Pool. The Weano, Hancock and Knox Gorges all end in restricted Class 6 areas. NO NOT enter these restricted areas without permission from the rangers. Take care in the gorges, and leave if it starts to rain as flash flooding can occur. Guided tours run from April 1st to October 31st in selected gorges. Please see the reception for more information.